Sapphire Seas’ new charter central, the motor yacht Excellence V, will be the newest and largest 60m yacht berthed in St. Barth’s Gustavia harbour with prime dockage during Christmas and New Year. Built by Abeking & Rasmussen, she continues in the tradition of superior performance and exceptional amenities demanded by a very experienced owner. She was designed with a clean and contemporary décor, and all outdoor deck areas are fully utilised for maximum guest recreation and enjoyment. Accommodation aboard Excellence V is for 12 guests in a master suite with a private deck, VIP stateroom, three doubles and two twins. Key features include a state-of-the-art cinema, sports bar, beach club and a waterfront gymnasium on the lower deck. 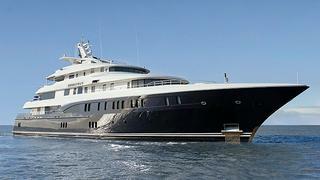 Excellence V is available for charter at rates starting from €595,000 per week.